Korita Jones, Interim Director, Department of Human Resources: Korita Jones will serve as Interim Director, Department of Human Resources. A Petersburg native and 2005 graduate of Virginia State University, Jones most recently served as HR Division Chief of the Compensation and Benefits Division of Human Resources. Jones joined the City in 2009 as a HR Consultant and has been promoted to various City positions to include Policy Analyst and HR Liaison for City Council Offices. Bobby Vincent Jr., Interim Director, Department of Public Works: Bobby Vincent Jr. assumes the role of DPW Interim Director with nearly 25 years of experience working for the City of Richmond. Vincent, a graduate of Virginia State University who holds a Bachelor of Science Degree in Mechanical Engineering Technology, began his public service career with the city in 1992 as an engineer, and most recently served as DPW’s Deputy Director. Debbie Patricia Jackson, Interim Deputy Chief Administrative Officer, Human Services: Debbie Jackson will serve as Interim Deputy Chief Administrative Officer, Human Services. Jackson, a graduate of Dartmouth College who holds a Master’s Degree in Public Administration from Virginia Commonwealth University, brings more than 20 years of training management experience to the job. Jackson has served as the Training Manager in the City of Richmond since 2009. Prior to joining the city, Jackson worked as Training Manager for the Virginia Department of Juvenile Justice and held various supervisory positions in training for the Commonwealth of Virginia. David Daniels, Interim Fire Chief: David Daniels will serve as Interim Fire Chief. Daniels assumes the role after serving as Chief Safety Officer and Deputy Fire Chief for the City of Richmond since 2015. Prior to joining the City of Richmond, Daniels, served as Executive Director of Workforce Safety in the City of Atlanta, part of a 35-year career in fire safety and emergency services. He holds a Bachelor of Science Degree in Fire Services from Easter Oregon University and a Master of Human Resources Management from the Keller Graduate School of Management in Atlanta. 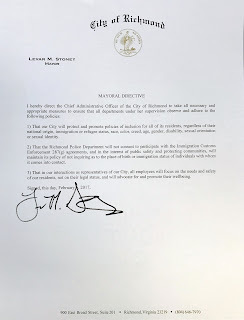 In addition to the appointments, the mayor announced management of the Department of Human Resources will transition from the Human Services portfolio to being under the direction of the Finance and Administration portfolio overseen by Deputy Chief Administrative Officer Lenora Reid. 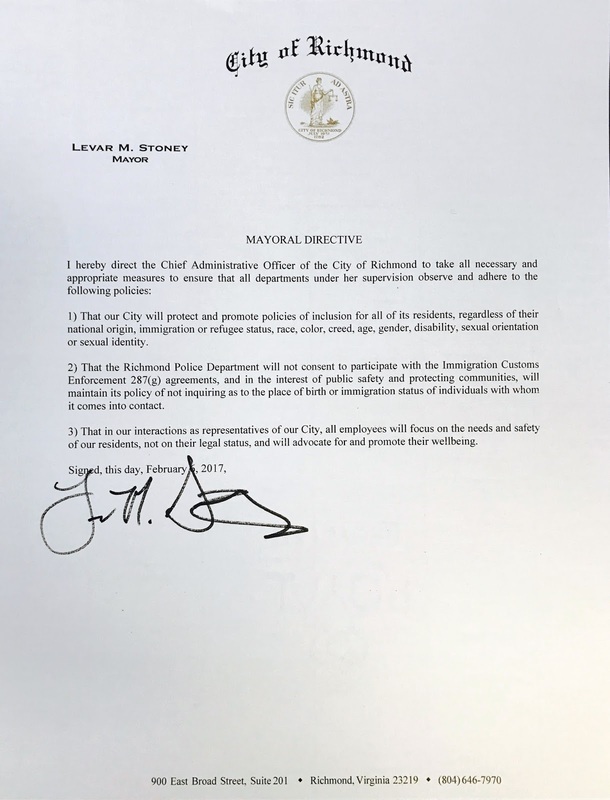 Read Mayor Stoney's Mayoral Directive!